Industries emerge from self-interest driven organizational behavior along industry supply chains. Instead of giving rise to the common good, they give rise to complex societal problems (ranging from poverty to climate change). Many industries suffer from legacy structures that are unsustainable (e.g. non-renewable energy producers). They impact negatively on the planet and society and prevent the introduction of sustainable solutions. Sustainability related improvements to individual organizations within an industry have relatively little impact in terms of creating a sustainable and more developed world. It is often referred to as “greenwashing”. To make a significant difference requires the redesign of the whole industry value / supply chain by all its stakeholders. Based on a sustainable industry design, they can plan the phasing out of unsustainable sub-industries and the phasing in of sustainable ones. Creating a sustainable industry requires a shift in worldview to (w)holistic thinking. 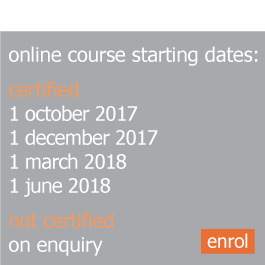 The course explains how to transform an industry through engaging its stakeholders in redesigning it, planning the implementation of the design and implementing it. Thereby its complex problems get dissolved, the industry becomes sustainable and produces more beneficial outcomes for all its stakeholders. It presents the key concepts of (w)holistic thinking, including the principles associated with the seven forces of organization (environment, ethos, aims, process, structure, governance and substance) that co-produce all systems. It applies this knowledge to activity system design in general and industry (re)design specifically. 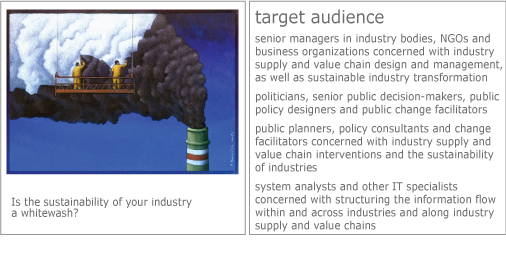 Like all activity systems, an industry and its sub-industries are organized as a value / supply chain. The course deals with industry design from both a value (i.e. outcomes) perspective and a supply perspective (i.e. the use of resources and their configuration and continued flow in time and space). It also covers both the strategic and operational perspectives. The course also deals with the theory and methodology of implementation planning, change management and stakeholder facilitation. Participation in the Biomatrix Industry Design Course will transform you into a (w)holistic thinker based on Biomatrix theory. You will understand the theory and methodology of complex problem (dis)solving, as well as activity system (re)design, development and change in general and that of an industry specifically. Throughout the course you are guided by template-based assignments to apply this knowledge to a chosen case study (e.g. the industry of which you are a part). You will also make an implementation plan for your design. act as a learning facilitator and change manager in an in-house delivery of the Biomatrix Industry Transformation Programme to an industry or governance body concerned with transforming the industry. The module explains activity systems as value and supply chains based on seven organizing forces and their organising principles. Assignments guide the ideal redesign of the case study system. This module explains how to make an implementation plan for an ideal design. Assignments guide the implementation planning of the case study design. This module explains the theory and practical steps involved in managing the transformation of a system with stakeholder participation and alignment. Assignments guide the change management planning for the transformation of the case study system. The Industry Design Course is one of several Biomatrix Design Courses which educate senior managers and decision-makers in the theory and methodology of sustainable system (re)design and complex problem solving. The courses are based on Biomatrix theory which explains how systems are organized, change and develop. The average duration of the course is 8 months based on 1 day per week (i.e. about 33 days), to be completed within a year. On successful completion, the participants may receive a certificate in Industry Design from Stellenbosch University, South Africa.